Just like with windows and glass, people hate cleaning wheels, rims, and tires. Wheels are never easy to clean because of their intricate designs, cramped spaces, and heavy contamination. The Chemical Guys Show Car Wheel & Rim Brush is the perfect tool for cleaning deep inside OEM and custom wheels. The red and black brush is tough on dirt, grime, and brake dust, yet gentle on painted, chrome, powder coated, and polished wheels. Many end up using old rags and brushes to clean wheels, and always end up with subpar results. 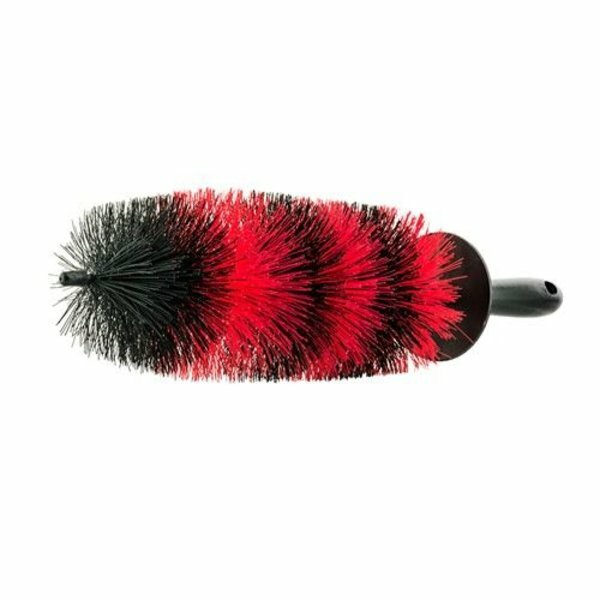 The Show Car Wheel & Rim Brush features an extra-long and fluffy profile, which is perfect for scrubbing between spokes and deep inside the barrel of alloy wheels for total clean and bright shine. Easily bend and shape the flexible brush rod to fit around brake calipers, into tight spaces, and behind wheel spokes. The long brush cleans all the way to the back of any wheel, and the soft rubber tip prevents scratching damage along the way. The brush also protects the user: the soft rubberized handle and knuckle guard protect hands around spokes and sharp dust shields. 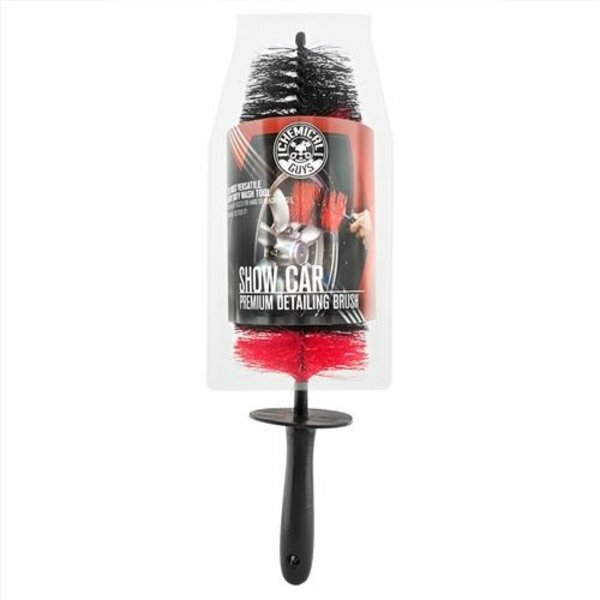 Use the Show Car Wheel & Rim Brush to clean deep inside wheels, exhaust tips, engine bays, and more. The soft bristles gently scrub and lift dirt and grime from wheels for a scratch-free shine. 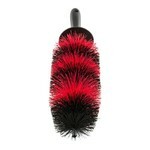 Easily clean away brake dust, dirt, oil, road grime, and more with the Show Car Wheel & Rim Brush. For best results, pair your Show Car Wheel & Rim Brush with a Chemical Guys wheel cleaner and bucket of water with Chemical Guys car wash soap to clean wheels to a like-new condition. Choose the Chemical Guys Show Car Wheel & Rim Brush for deep wheel cleaning and detailing. 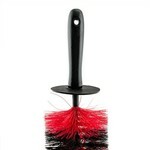 The Show Car Wheel & Rim Brush is the perfect brush for deep cleaning wheels and other compact areas. All wheel parts require specialty cleaning tools that are different than those for paintwork and glass. Use the Chemical Guys Show Car Wheel & Rim Brush to gently scrub dirt and grime without harming sensitive wheel finishes. The extra-long 17 ' ' brush slips deep into alloy wheels and custom rims for a complete wheel cleaning detail. Clean mud, dirt, and brake dust from deep within the barrel of the wheel for a show car look. Easily agitate and remove brake dust, dirt, grease, and grime from OEM and custom aftermarket wheels and rims. Stick the Show Car Wheel & Rim Brush deep inside exhaust tips to remove heavy carbon buildup. Slip the Show Car Brush between intake manifold pipes and exhaust runners for thorough engine bay detailing. 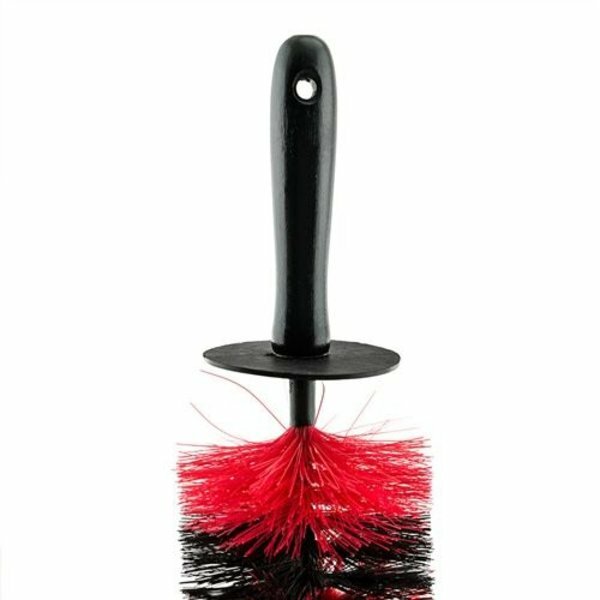 Choose the Show Car Wheel & Rim Brush for gentle cleaning deep inside hard to reach places. 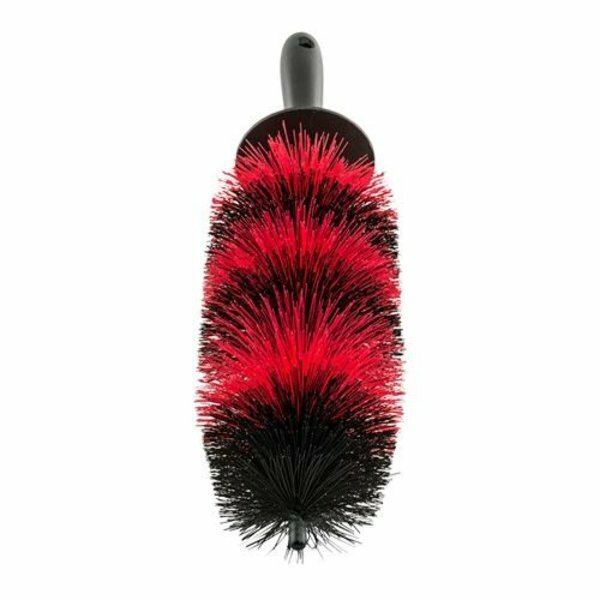 The Show Car Wheel & Rim Brush is great for deep cleaning wheels, exhaust tips, engine bays, and more. The soft synthetic bristles give a scratch-free touch on sensitive wheels and rims, and easily remove tough dirt, debris, and brake dust. 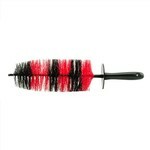 The extra-long brush is bendable for easy cleaning in, around, and through spokes and tight brake calipers. The long and low profile brush fits between the hub and rim to easily clean the entire barrel of the wheel for a deep clean shine. Easily scrub away brake dust, dirt, road grime, oil, grease, and more. Clean and scrub chrome, polished, painted, powdercoated, and wrapped OEM and custom wheels with a scratch-free shine. Use the Show Car Wheel & Rim Brush to clean wheels, behind wheel spokes, inside exhaust tips, around engine bays and compartments, and more. Chemical Guys brushes and accessories are made from the highest quality materials and with the most advanced manufacturing techniques. 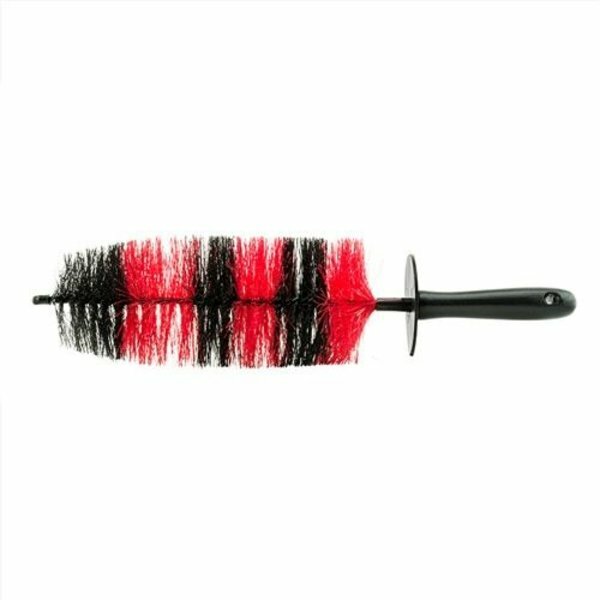 The Show Car Wheel & Rim Brush is made with durable synthetic bristles for tough scrubbing that won 't harm sensitive alloys or finishes. 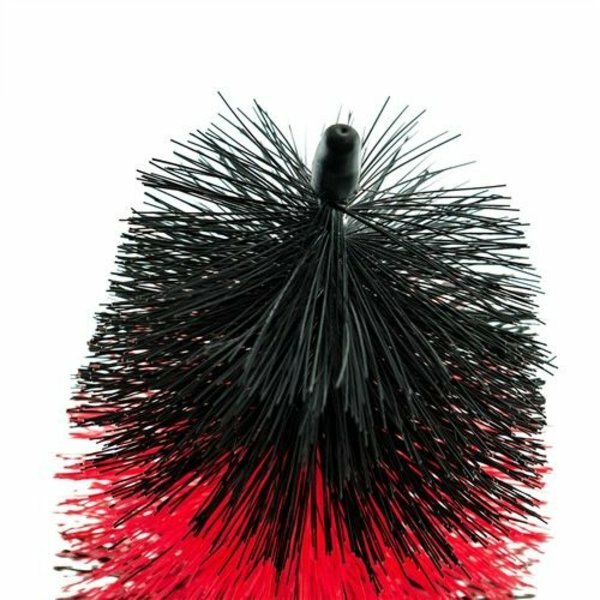 These soft synthetic bristles are firmly anchored through a durable and flexible wire for easy cleaning around intricate wheel designs. The soft rubberized handle is comfort-cut for easy use and soft enough to absorb any impact on alloy wheels. The brush handle and bristles are chemical resistant, and stand up to years of use with all types of cleaners and degreasers. The Show Car Wheel & Rim Brush lasts for years of detailing alloy wheels and rims, exhaust tips, engine bays, and more. The Show Car Wheel & Rim Brush removes caked-on dirt and grime to restore a like-new appearance. Use the new Chemical Guys Show Car Wheel & Rim Brush for heavy-duty cleaning on even the filthiest wheels, exhaust tips, and engine bays. Use The Show Car Wheel & Rim Brush with premium Chemical Guys wheel detailing products, such as Diablo Wheel Gel, Signature Series Wheel Cleaner, and any Chemical Guys car wash soap.